This resource references and draws upon materials developed for Pedagogy in Action and Teach the Earth. A 2009 survey of employers identified broad agreement about what higher education could emphasize to better prepare students for productive careers. More than three-quarters of employers called for greater critical thinking/analytical reasoning and analysis/complex problem solving. 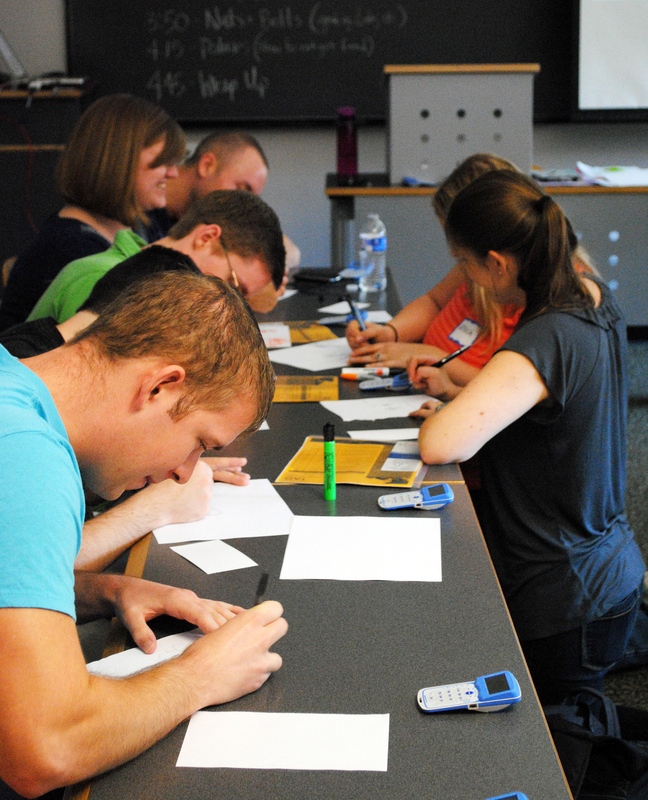 About two-thirds are looking for students who can understand and work with numbers. Teaching with data can prepare students in these critical learning areas. What is more, research increasingly verifies that active engagement pedagogies increase retention (both in the sense of student recall of learning and persistence in a field of study) and promotes transfer. Thus, teaching with data can simultaneously nurture the broad learning attributes valued by employers while encouraging deeper and more persistent disciplinary content understanding. What counts as "data" in teaching with data? Using data in the classroom is any learning process that uses observations defined in the most general sense as a fundamental component to the learning enterprise in a way that a) supports student inquiry and participation in the scientific method, b) supports effective evaluation of data uncertainties and applicability, and c) improved students' quantitative and critical thinking skills. The observation involved could be raw or derivative data streams that have been collected by students or professionals or simulated data derived from models. This broad definition reflects the reality that what constitutes data is defined by the context of the problem. Indeed, one researcher's output can easily be another's "raw" data. This is true not only in meta-analyses which study a set of studies. It is also true whenever a researcher uses common "primary" sources like the Consumer Price Index (which is a calculation based on a large number of direct price observations). Thus, whether data are "raw" or processed is very much in the mind of the researcher. Rather than emphasize superficial characteristics of the input, the definition above focuses on how students engage the quantitative evidence--through direct participation, which nurtures an appreciation for the inherent limitations (and uncertainties) of the data and methods, in a messy context of a real problem that requires critical thinking and problem solving skills. This page summarizes most arguments for teaching with data. These range from discipline-specific gains like improved content retention to broader learning objectives like improved quantitative literacy and understanding ethical principles of scholarship. For those who are interested in learning more, this page also includes citations of works that summarize relevant scholarship. How do I intend students to engage the data? Answers range from watching you explore the data to completing a project with open-ended discovery. While more active strategies typically produce better results, limits of student experience and class time will guide your choice. What research strategies do I want students to use? Choices between experimentation, description, modeling, and comparison (including statistical analysis) often reflect disciplinary practice and subject matter. What kind of data do I want students to work with? A wide range of options are described from published data to student-generated data. Once you have decided you want teach with data, it's time to hammer out the details. This site presents seven best practices for assignment/course module creation that can help you create your new assignment and situate it successfully in the context of your course. In addition, we provide links to example assignments and discipline-specific web resources from which you can borrow ideas. Because teaching with data requires more of us as faculty, we shouldn't do it unless we can show ourselves that the effort is paying off. This section shares tools that can be used to assess student learning in the course as a whole and on individual assignments. The assignment assessment tools also may help to speed grading.